Well I wanted to share my first try on a 1/12 scale hat so here are a few pics. I made the hat to match an outfit I bought from Lise Ashby. I couldn't get the exact colours but it still goes well with it. Is the hat made from the Anchor thread you showed a photo of a while ago? (#8?) What size needles did you use, and where did you get them? I found something called Sulkey thread, and I wonder if it's an equivalent, and which direction the thread-size numbers go. (Is #8 smaller or bigger than #12?) 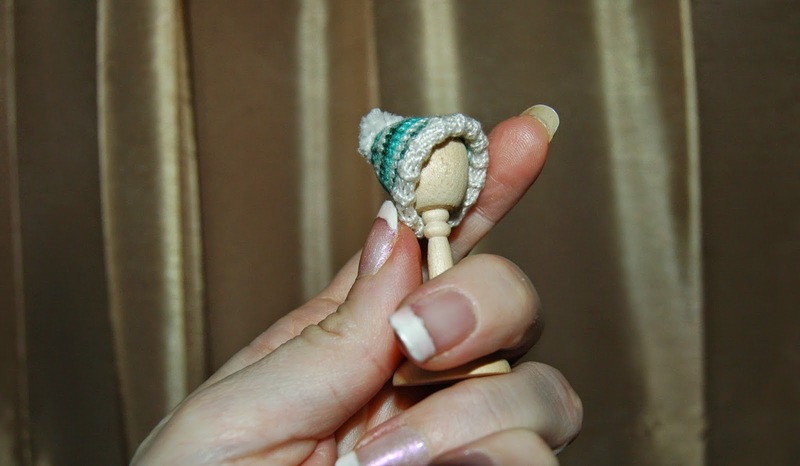 I'm thinking of knitting simple sweaters for dollhouse dolls. 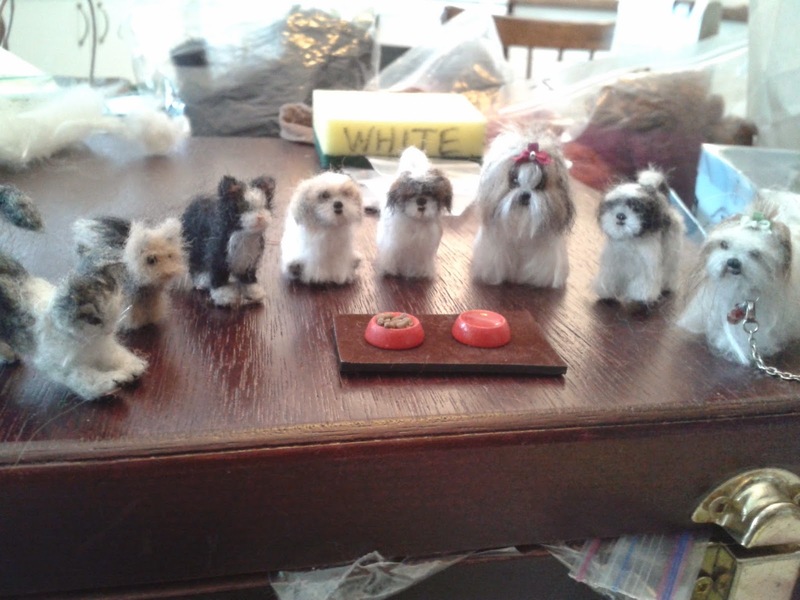 On a new subject, I wonder about the wool that the felt doggies are made from -- how do people protect the wool from moths? Is that a common problem? Just wondering, and thanks in advance for your reply. As for the Sulkey thread, I am not familiar with it so I can't compare. For pearl cotton thread, I believe that the higher the number of the thread, the thinner it is. So a #8 should be thicker than a #12. Hope this helps. To avoid problems with moths you can always store your wool in a clear air tight plastic container. Since it is clear it will let light through which should repel moths and if your storage area is frequently cleaned then you should be problem free. Thank you for your comment and I hope I managed to help a little.